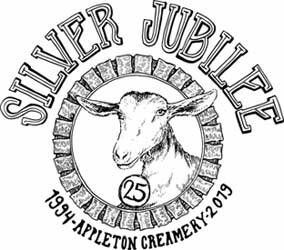 Appleton Creamery is 25 years old, and we invite you to join us in the celebration! We’re giving away prizes. The drawing will take place at this year’s Open Creamery Day on October 13th, at the farm. You can have a chance to win by simply filling out the form below, or fill one out the next time you see us at farmers’ markets or stop by the farm stand this coming season. When you enter, we’ll also keep your info on hand and send you occasional updates on what’s happening at Appleton Creamery. Help us fight spam. Let us know you are not a robot!